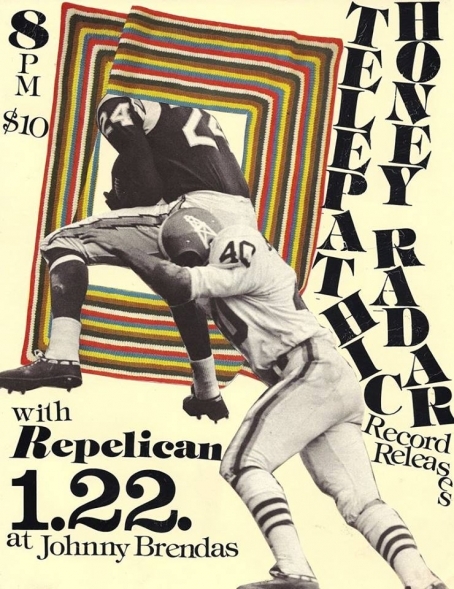 Philly garage-psych rockers Honey Radar have a new LP out via What's Your Rupture?, entitled Blank Cartoon. The lo-fi experimentalists obviously enjoy playing around with noise, before eventually locking into grooves that are made for lounging in the sun with a beer in one hand and a "J" in the other. It's good ole summertime fun, and you can soak in the vibes this evening at Kung Fu Necktie, where Jason Henn and company will be kickin' it live with Telepathic, People Skills, and Life Stinks. It's ok. You can let work know that I gave you permission to extend your Memorial Day weekend. Kung Fu Necktie, 1250 N. Front St., 9pm, $6, 21+ - Alexis V.
Honey Radar will release their latest album Blank Cartoon via What’s Your Rupture on May 20. “Fort Wayne Mermaids”, the new song from Jason Henn and Co., balances soothing vocals over the groove created by merging twisting guitar lines and the steady snap of the backend. However in a flash, just as you begin to sink in to it’s over. 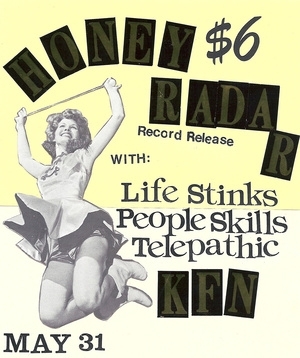 Honey Radar is scheduled to perform a record release show show at Kung Fu Necktie on May 31, with Telepathic, People Skills, and Life Stinks. “Caterpillar” provides an optimistic foreshadowing of Honey Radar’s forthcoming album Blank Cartoon, which will be available on May 20 via What’s Your Rupture?. The song sticks as a tasty guitar riff engages with clairvoyant vocals and the casual yet locked-in snap and pop of percussion, completed with an Acid Test conclusion. Honey Radar will be performing at Marvelous Records tomorrow with Chantaines. 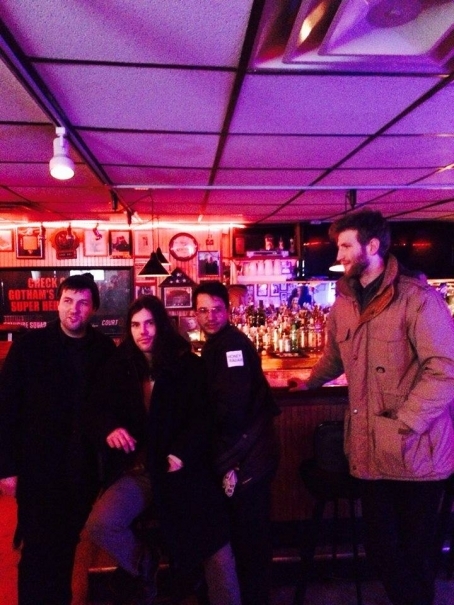 Take a listen to Honey Radar's latest EP Instant Replay Finger. For those familiar with Jason Henn's lo-fi, garage-psych project, you'll find a refinement in production and song structures on his new album, while still managing to maintain a looseness that can certainly be built upon in a live setting. The record was co-released by Third Uncle Records and What's Your Rupture?, and is available on limited edition hand-cut 7" vinyl. 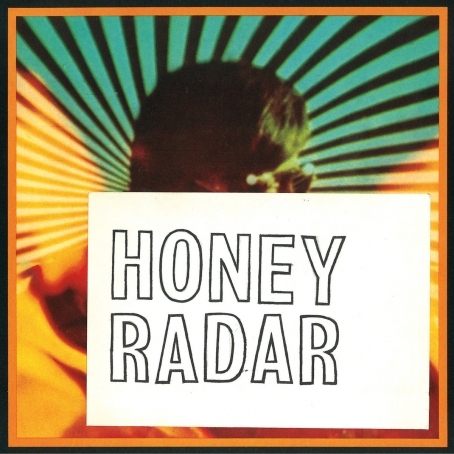 Honey Radar also recently announced that they'll have a new EP, Giraffe, out on January 7 via Chunklet Industries.